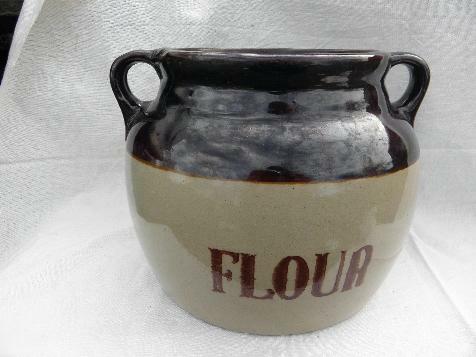 Marked with the maple leaf mark, a vintage Monmouth Oven Proof pottery crock for Flour. This measures 7 1/2" deep, 9 1/2" across the handles. 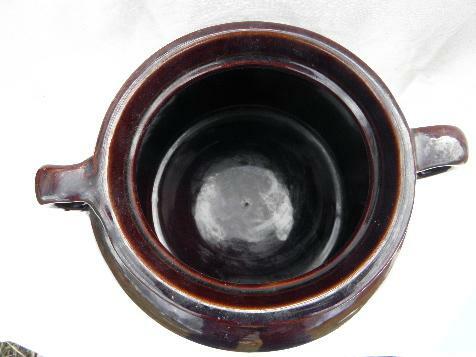 There's no lid, but this is otherwise in very good condition.